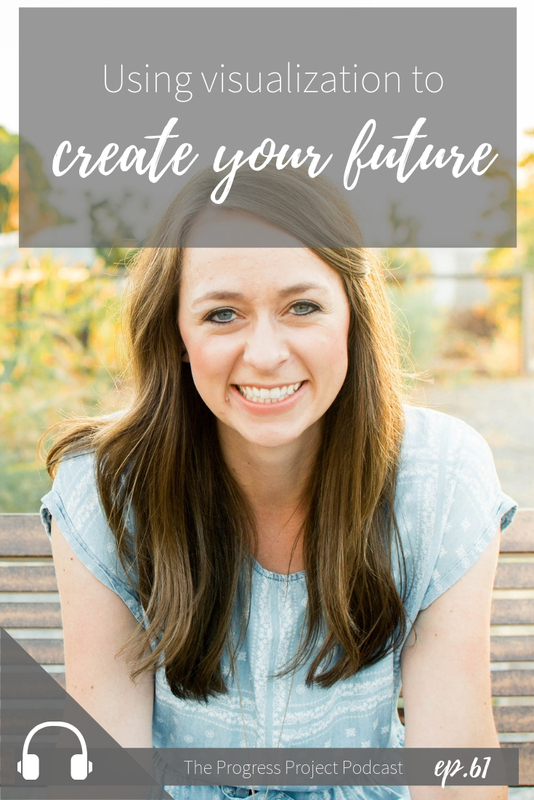 In today’s episode we’re talking about using visualization to create your future. Have you ever felt like the actions you’re taking aren’t actually helping you change or make real progress? We’re talking about how powerful visualization can be to help us actually make things happen when we haven’t been able to with actions alone. This has been a life-changing concept for us! By visualization, we just mean intentionally teaching your brain new thoughts that will create the mindset shifts you want and inspire new, powerful action. Why we think our brains are capable of so much more than we know! Find Your Purpose Course: Grab our free guide to help you discover your true purpose. Get a sneak peak of our course and everything you’ll be getting including your very own beautiful physical workbook! Wait, what exactly does visualization mean? Visualization= Intentionally teaching your brain new thoughts that will create the future you want. It’s an extra-powerful way to change your thoughts, which is the first step to any change. The life you want, environment, people, etc. Or just write the thoughts, sometimes in different wording. Share with us how you use these ideas! Maybe you don’t call it visualization but we’d love to hear how you create your own future through imagery, prayer, or any other method. Then you’ll love these products we made just for you! New to the podcast? Then you’ll love THIS episode!